Leader of the Indigenous People of Biafra, IPOB, Nnamdi Kanu, has reacted to claims that the presidential candidate of the Peoples Democratic Party, PDP, Atiku Abubakar, is not a Nigerian. 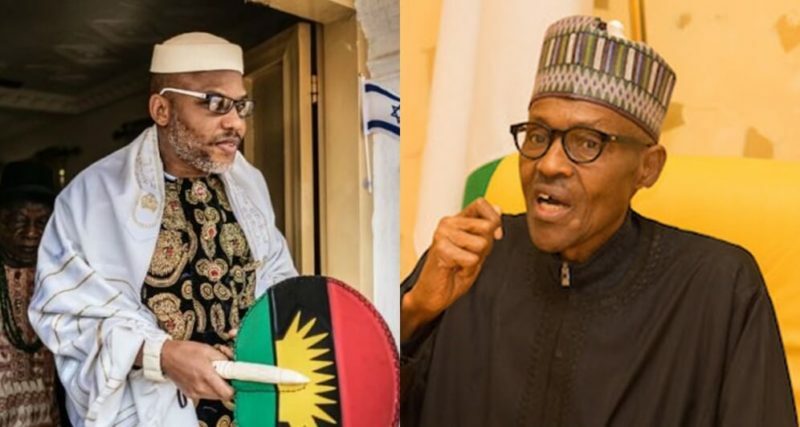 Kanu, in a live broadcast on Biafra radio yesterday, said the former Vice president is an authentic citizen of Nigerian, however, President Muhammadu Buhari is not. While alleging that Buhari is a Sudanese, Kanu said the president died in 2017 and should not be contesting any election in 2019. He said Atiku should demand for a DNA test on President Buhari to prove that he is not also Nigerian but a Sudanese body-double identified as Jubril Al-Sudaniy. Kanu said, “I will offer free legal advice to Atiku live on air in the hope that they will use it because it is obvious Atiku won the election and APC are deploying all instruments of coercion at the disposal of the Nigerian state to deny him his mandate. Between Atiku and the man occupying Aso Rock, only Atiku is a Nigerian, the other is Sudanese. “Atiku became a Nigerian by referendum at the age of 15 but Jubril in his mid 50’s is not a Nigerian, does not hold Nigerian citizenship and is from Sudan. What Abba Kyari and his gang have done is worse than a military coup. Their role in inflicting hardship on long-suffering people of Nigeria and by extension Biafrans, is unpardonable. They should be tried for high crimes and misdemeanours. They are supposed to be stoned according to Sharia Law. Displaying Guidelines on the Management of Investment Account Holders for NIFIs.pdf.